Golden Boot Award winner for his contribution to the Westerns genre in both film and television including the notable titles Johnny Ringo and Stagecoach West. His earliest role came in 1952 for the NBC series Armstrong Circle Theatre and it was followed by appearances in films such as Johnny Guitar as Turkey Ralston and The Outcast as The Kid. 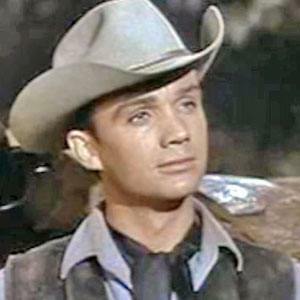 He had guest starring roles on A-list television series such as Tales of Wells Fargo, The Westerner, and The Rifleman. He was married to Pamela Cooper and had two daughters with her. He had a five episode stint on the Raymond Burr starring legal series Perry Mason.